Whatever positive things we can say about our civilization, we can be sure of one thing: its development has certainly not been harmonious. I keep on typing the most terrible, i.e. most brash (not in the artistic sense) things that can be thought — all of this is to be included in my new book (…). Since these words were put into the iron mouth of a computer that climbed the highest intellectual tower of Babel, I can state things that I would not dare to say otherwise. At the time of the publication courageous theses, somewhat resembling prophecies, sounded heretical. 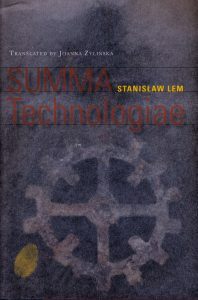 With time, however, many of (Go)Lem’s ideas became generally accepted in academic circles. An example maybe Lem’s approach to evolutionary mechanisms that reflects their instrumental nature. 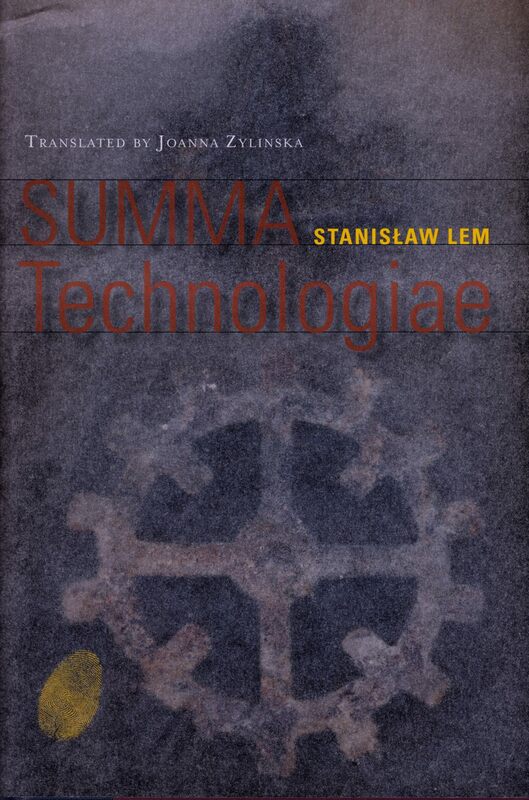 Lem formulated a theory of the „selfish gene,” according to which organisms are mere tools in the hands of a neutral Mother Nature: this was a few years before the publication of the famous book by Dawkins. THE MEANING OF THE TRANSMITTER IS THE TRANSMISSION. SPECIES ORIGINATE FROM A MISTAKEN MISTAKE. THE CONSTRUCTION IS LESS PERFECT THAN WHAT CONSTRUCTS. This is how Golem explained the selfishness of the genetic code. The answer lies in these words, but you have yet to grasp its profound significance. Anything that is an organism must serve to transmit the code, and nothing more. That is why natural selection and elimination concentrate on this task *exclusively* — any idea of “progress” is no business of theirs! I have used the wrong image: the organisms are not structures but only scaffolding, which is precisely why every provisionality is a proper state, by virtue of being sufficient. Pass the code on, and you will live a little longer. Looking at humanity from the point of view of a super-intelligent being is not only an innovative literary approach but primarily a thought experiment. Only after breaking through the barriers and constraints of our species can we try to resolve issues that cannot be addressed from within. 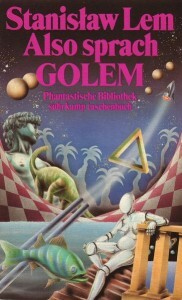 A number of uncompromising predictions contained in this book regarding further development of the mind — Golem XIV is both their spokesman and embodiment — are still waiting for implementation. They may be a long way ahead, but seem rather inevitable.